This sweet and creamy corn pudding is a family favorite recipe that uses everyday staple ingredients and doesn’t require a mixer! 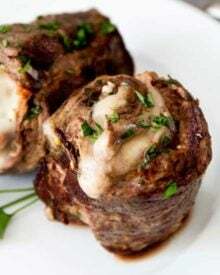 I’m bringing one of my Mom’s famous recipes here to the blog… guaranteed to become one of your favorites! This post is sponsored by Iowa Corn. All opinions are my own. 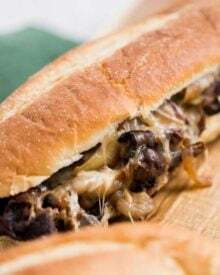 Do you have one of those family favorite recipes that EVERYONE loves? I think most people have one… and this one is definitely the favorite in our family. 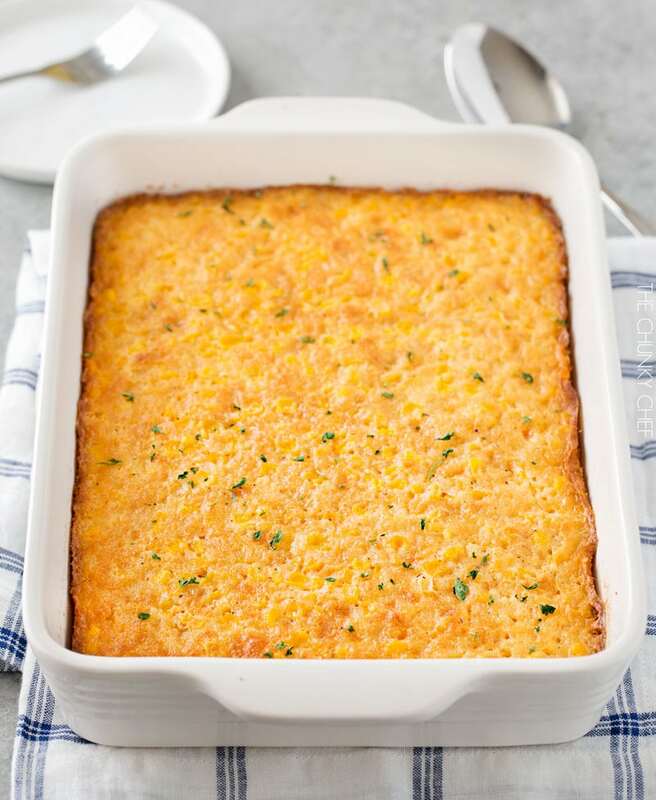 My Mom makes this exact corn pudding recipe for just about every family function! Growing up, it was one dish I would always look forward to, and ALWAYS have seconds (or thirds) of. There are quite a few variations of corn pudding out there on the interwebs, so this one may not look exactly like some of the others you’ve seen, but I can assure you it’s positively amazing!! When I was invited to Iowa for the Iowa Corn Quest (check out my awesome recap HERE), we had the privilege of making (and eating) a corn souffle. It tasted verrrrry similar to my Mom’s corn pudding recipe… so it was amazing to have a little taste of home! 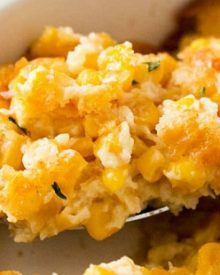 Obviously I love this corn pudding as is, but if you would prefer to play around with different flavors, feel free to try adding some shredded cheese, green chiles, etc. Since Thanksgiving is practically right around the corner (which is so crazy right?! 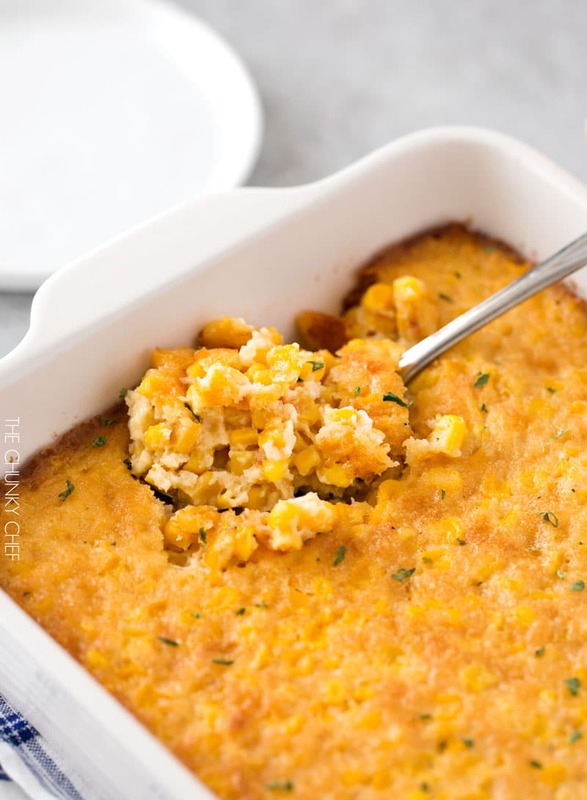 ), this corn pudding is perfect as a side dish on the main table! 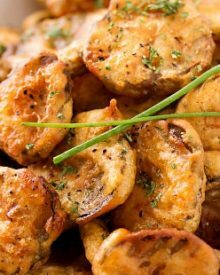 It’s also great for everyday family meals too, as it pairs perfectly with just about any protein. 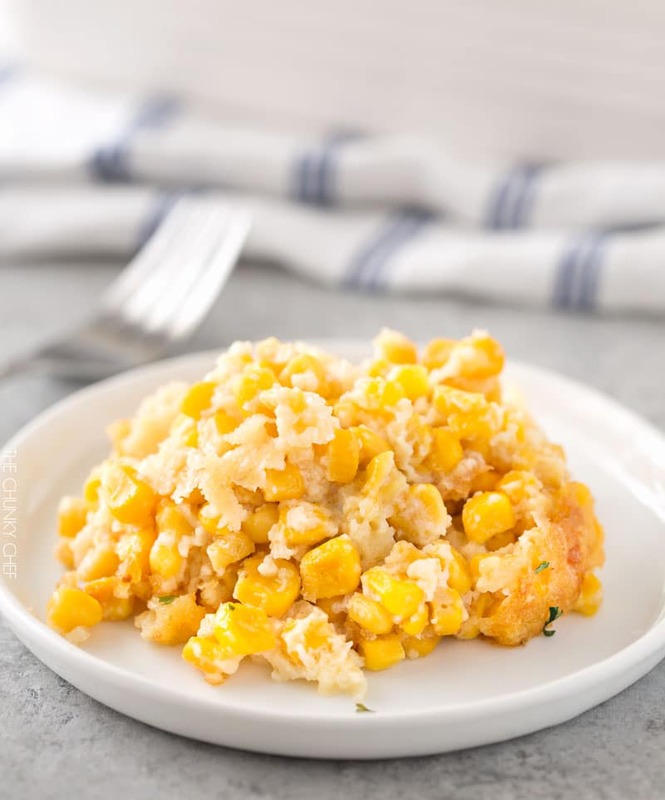 This sweet and creamy corn pudding is a family favorite recipe that uses everyday staple ingredients and doesn't require a mixer! Preheat oven to 350 degrees F. Spray a 1 1/2 qt baking dish with non-stick spray and set aside. Add sugar, flour and baking powder to a large mixing bowl. Pour in melted butter and whisk to combine. Add eggs and evaporated milk, whisk to combine. Add thawed corn and stir to combine. Transfer to prepared baking dish and bake for 45 minutes, until golden brown and set in the middle. Canned or fresh corn may be used as well, just use the same amount. This was a wonderful recipe. Everyone loved it. I added 1 diced fresh jalapeno, 1 small shallot (both sauteddd first) and 1 1/2 cups shredded cheddar cheese. It will become a new Thanksgiving side dish for us. Thank you! Is it correct that there is no salt? Can you substitute whole milk or half and half for the evaporated milk? I’ve never tested the recipe that way, but I would either do whole milk or cream. Evaporated milk is thicker than regular milk. I made this for easter dinner but subbed half sour cream and half buttermilk for the evaporated milk. I like how versatile this can be…maybe jalapeno and cheddar for a kick? I can’t wait to dig in! Thank you and Happy Easter! What would you recommend if you don’t want the sugar? Hi Martha, I can’t say, since we always make it as written. For how many servings is this recipe? Looks delicious! 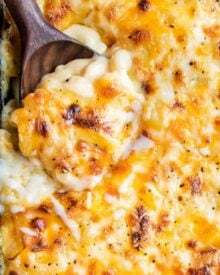 Cannot wait to make this recipe today for thanksgiving tomorrow. I love make ahead dishes for the holidays…thanks for sharing. Hi! Do you think you could make this ahead of time and then warm it back up? I’m trying to make as much as possible before thanksgiving so that I’m not cooking 400 the day of. What temp and how long? Thanks! 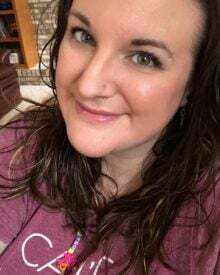 Hi Becky 🙂 As the recipe instructions state, 350 degrees F for 45 minutes. How many cups of corn? Corn doesn’t come in 10 oz. packages here. 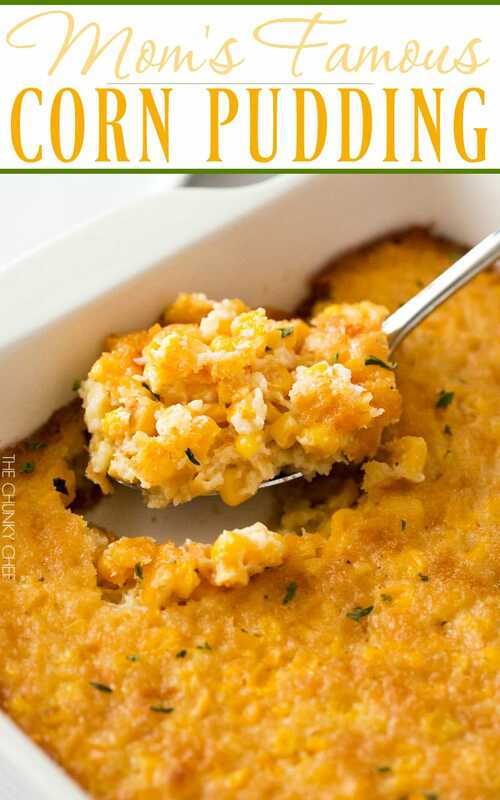 I haven’t had corn pudding in forever, so I’ll definitely have to try this! 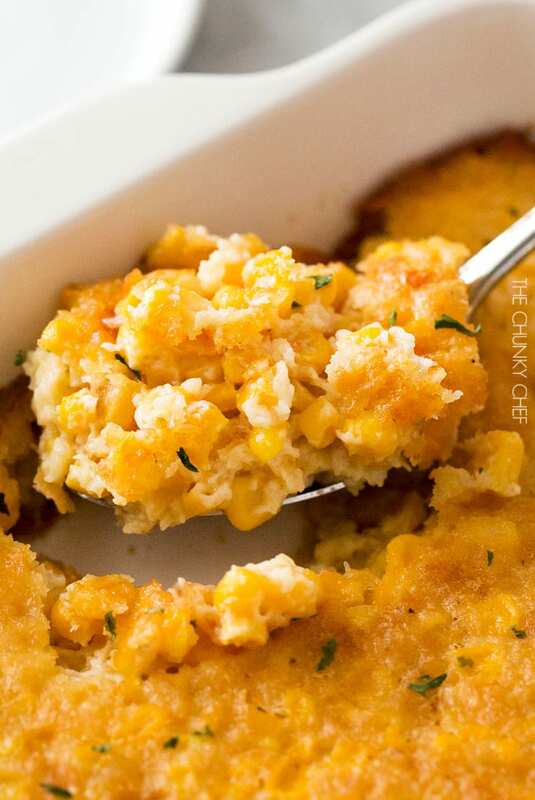 I’ve been seeing tons of recipes for corn casseroles, but mostly for the slow cooker. This one has them all beat, hands-down! What a wonderful pudding casserole. My husband loves you by the way! This looks pretty amazing! 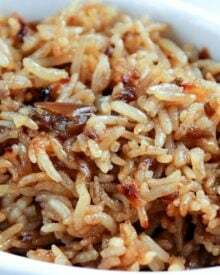 The perfect side dish for this holiday. This looks delicious! I love how simple it is to make as well! 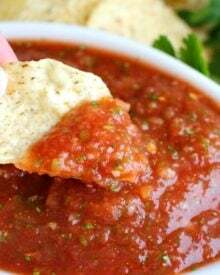 I want a big bowl of this. It looks amazing! Girrrrrrl this looks amazing! Pass me a spoon!